Two new stations to fill up your car are being built in the region but there won’t be a drop of fuel in sight. Rather than the traditional petrol and diesel pumps, the two stations in Takaka and Nelson will be pumping energy. Network Tasman’s first station in the Tasman District Council carpark off Queen St in Richmond is online and providing free energy for an initial trial period. The Takaka and Nelson charging stations will be fitted with an ABB Terra 53 unit over the next three months. Typically the units can fully charge an electric vehicle’s battery in 20 minutes, and re-charge approximately 11 vehicles per day. The units can provide status notifications and usage statistics, manage credit and debit card transactions and have potential to accept payment via mobile devices. 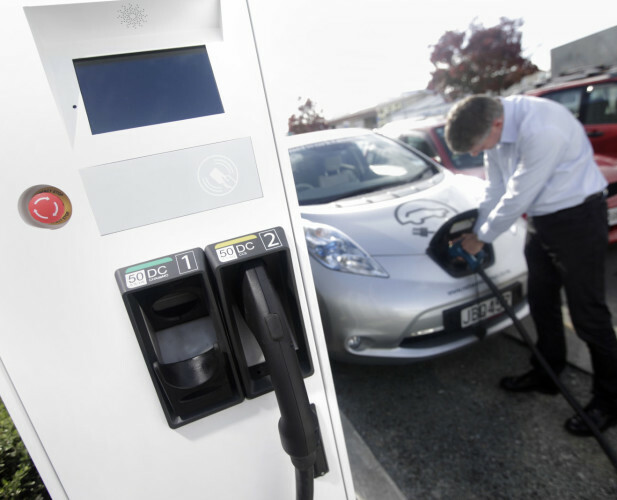 Network Tasman Ltd’s CEO Wayne Mackey says Conservative estimates suggest that approximately 2500 of the Nelson Marlborough regions’ registered vehicles will be electric by 2020.